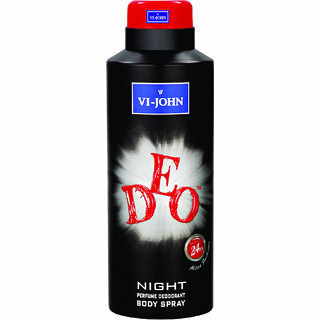 Stay fresh and rejuvenated all day long with vi-john deo for men. The tempting fragrance of vi-john deo will make you appealing towards all around you. Wear its cool and intimated aroma and let the whole world feel your presence. No stickiness no smelly sweats. Its long lasting perfumed effect of mild & safe deo will make you feel as fresh as morning dew.